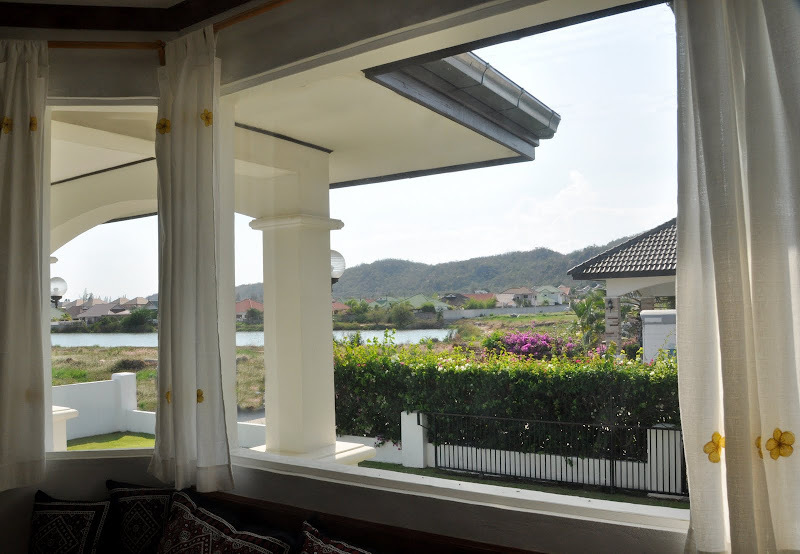 Our beautiful villa is located in Laguna, a prime guarded development centrally in Hua Hin, only 1.5 km from the beach and 2km from the town centre. This is the corner property, which offers tranquil privacy and breathtaking views. The large 44 m2 mineral water Private Swimming Pool is 150 cm deep and has a nice 30 cm splash area, perfect for relaxing in the shallow water and also wonderful for child play. The Pool is surrounded by a 120 m2 sparkling white terrace that has an unobtrusive view of the mountains and steps leading to both the living room and the lush 300m2 Garden. Pool and Garden umbrellas and coconut palms provide lovely shade while you relax on the designer day beds. There is also an outdoor shower area. 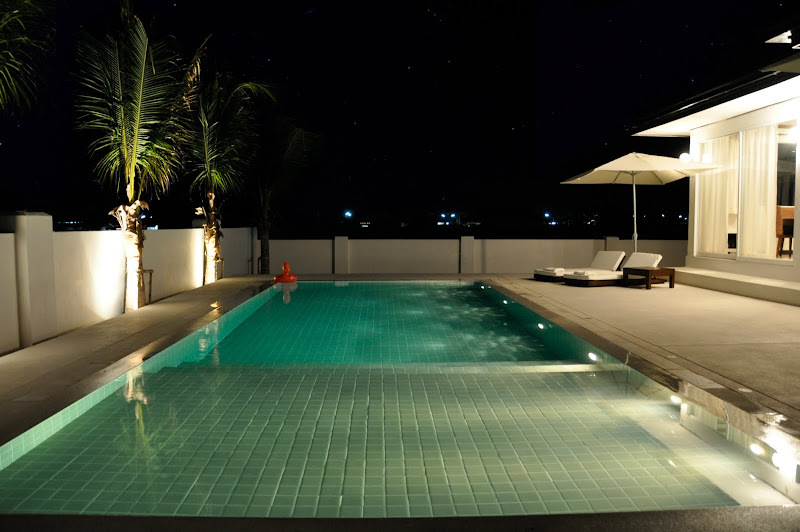 The pool and garden lights create a wonderful evening atmosphere. The total property is 600 m2. Living room is bright and spacious, with an open plan modern kitchen equipped with Electrolux appliances and custom built teak and water hyacinth furniture. It comes with a 40” LCD TV for DVD only. 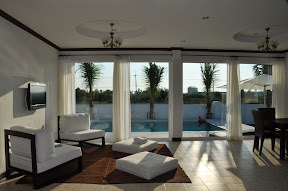 The oversize sliding doors towards the terrace and pool blend indoors and outdoors. 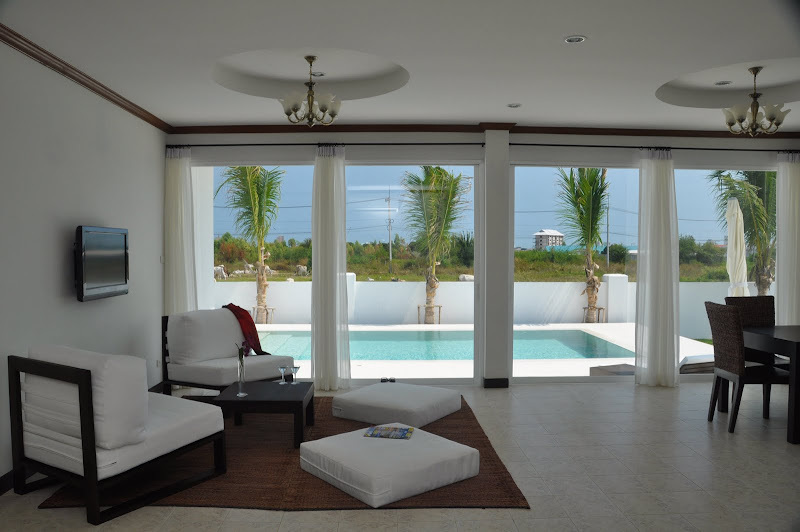 Our villa has 3 bedrooms and 2 bathrooms. 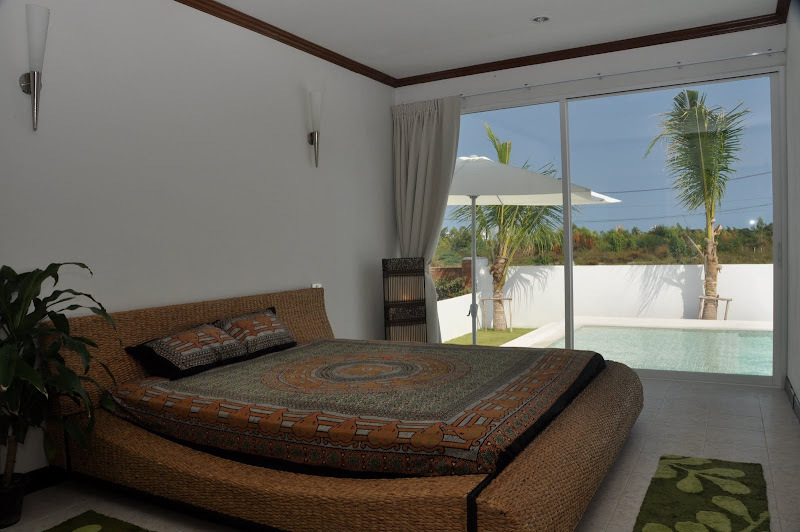 Master bedroom has designer king size bed and has direct access to the swimming pool through the sliding doors…….ideal for an early morning, lazy afternoon or a starry night dip. It has an attached bathroom and a beautiful wardrobe. 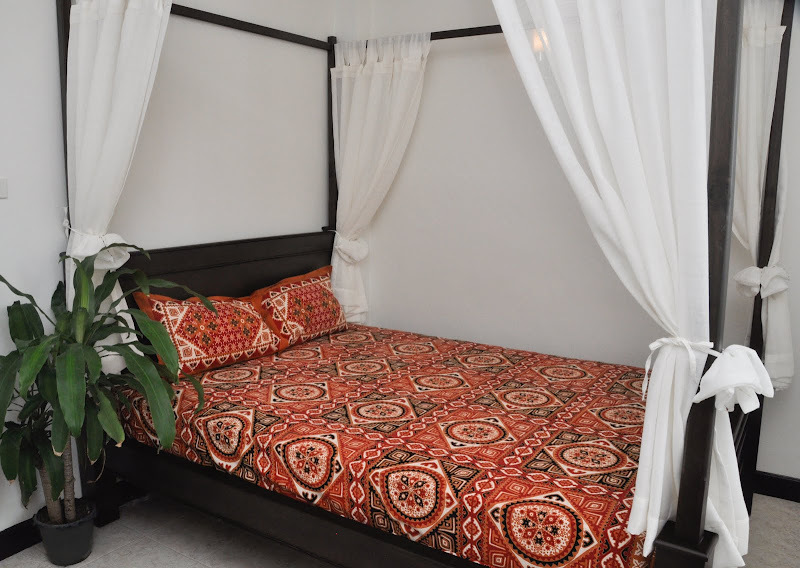 Bedroom 2 has queen size traditional Thai teak canopy bed and a direct view of the mountains and the lagoon, whereas Bedroom 3 has a single bed and a wardrobe. This room can ideally be used as children’s bedroom or study. Our villa has room enough to accommodate 8-10 people. At the same time, it’s ultimate luxury romantic get-away. All rooms have modern air conditioning units, individually controlled. 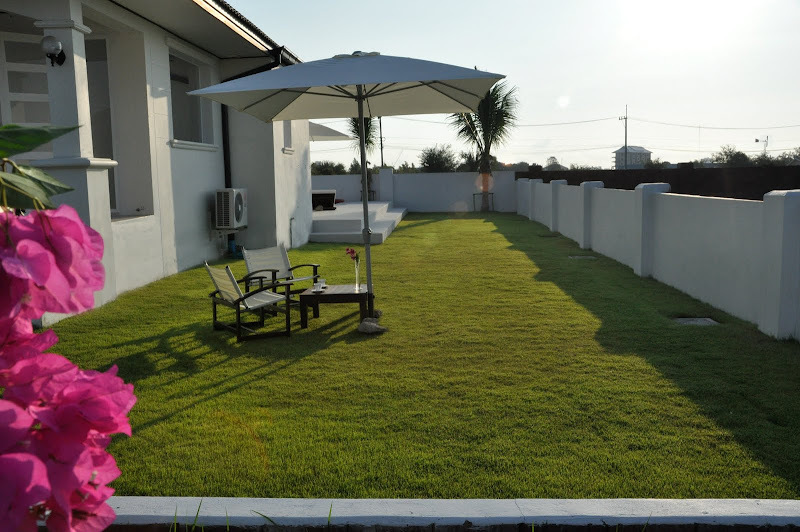 The villa has car park and additional space for parking on the street for 3-4 cars. 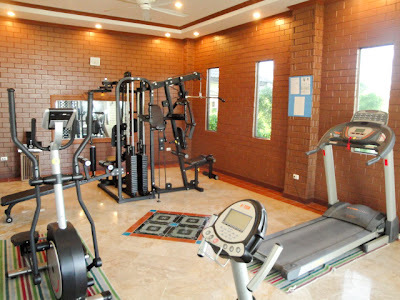 The Laguna common club has a small gym, free for guests. Discount during low season and longer rental applies. Electricity and water will be charged for separately. Estimated cost during normal usage: 300 SEK (approx 30 EUR) per week. 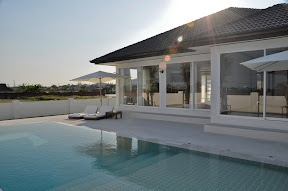 Hua Hin is the holiday choice of his majesty the King of Thailand, who has his getaway sanctuary palace in Hua Hin, and has been the prime choice for the Bangkok’s rich and beautiful for over 100 years. The railway station in Hua Hin is Thailand’s oldest and has brought Thai vacationers to this wonderful beach town since the 1920’s. Hua Hin is located 200km south west of Bangkok along the coast line inwards facing the bay. 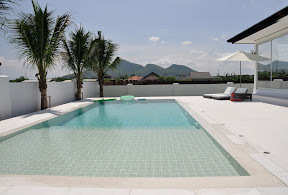 Pickup at the airport and transport to Hua Hin Laguna we can arrange for you at cost of 2500-3000 THB (approx 600-650 SEK) in 2.5-3 hours along a modern highway. We can arrange new air-conditioned rental car for you at around 1000 THB per day (approx 220 SEK) and Vespa at 200 THB per day (45 SEK). 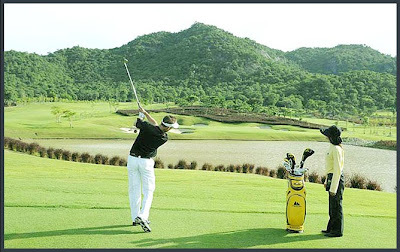 Hua Hin has some of Asia’s absolute best Golf courses, including Banyan Golf Course in Hua Hin, the winner of the 2009 Best New Golf Course in Asia [Asian Golf Monthly] and Black Mountain Golf Course in Hua Hin, rated the 3rd Best Championship Golf Course in Asia Pacific Region. Green fees are still affordable. Other popular activities include jogging along the 10+ km long Hua Hin beach, mountain walks, elephant shows and safari, fitness and martial arts, kiteboarding, windsurfing, fishing, eco-cruises, cooking, Thai and Swedish massage, cycling on the wonderful winding roads along the pineapple plantations, painting classes and water aerobics. We have lived 1 year in this house with our children and we all thoroughly loved it, extending our paternity/maternity leave several times. The wonderful experience of starting the days with breakfast on the beach or stepping out from the bedroom down into the emerald glittering pool water, spending the days playing and swimming, and rounding off with a barbeque and a midnight drink in the shallow pool area under the starlit sky cannot be measured in money. 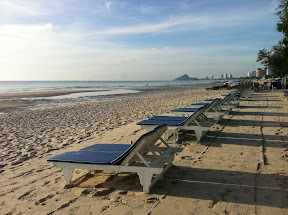 We are happy to share further helpful tips of Hua Hin and Thailand. Please send an email to thailandjewel@gmail.com to check availability and discounts. Stylish overflow pool. Private spacious terrace for relaxing or entertaining. 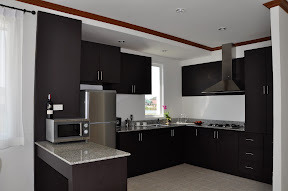 Modern kitchen with both gas and electric stove, refrigerator-freezer, microwave, sandwich maker, toaster, mixer etc. Living room overlooking the pool through sliding doors. Pool with shallow (30 cm) and deep (1.50 m) areas, outdoor shower and sliding doors into both living room and master bedroom. Master bedroom with sliding doors opening towards the pool. Designer bed made in water hyacinth. 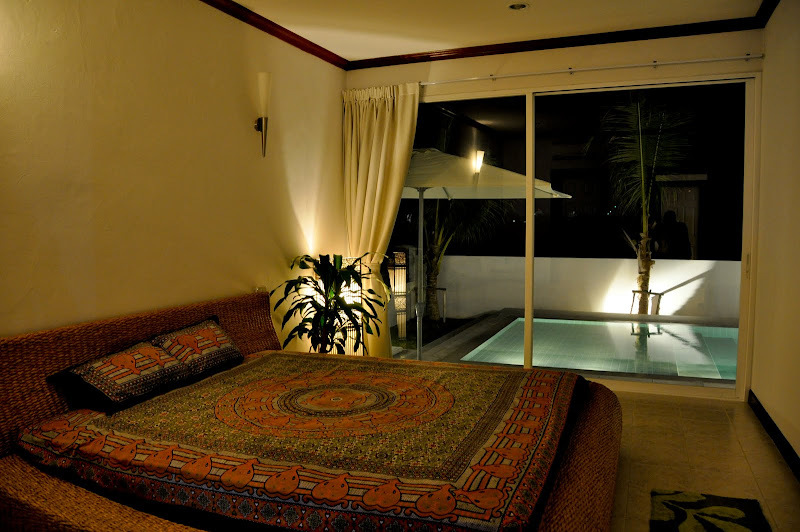 Guest bedroom has a traditional Thai teak bed with sheer curtains that can be pulled for cozy moments. View from Guest bedroom windows, overlooking laguna and mountains. Swim under starlit sky or get massage on the outdoor beds. Listen to the grasshoppers in the night. 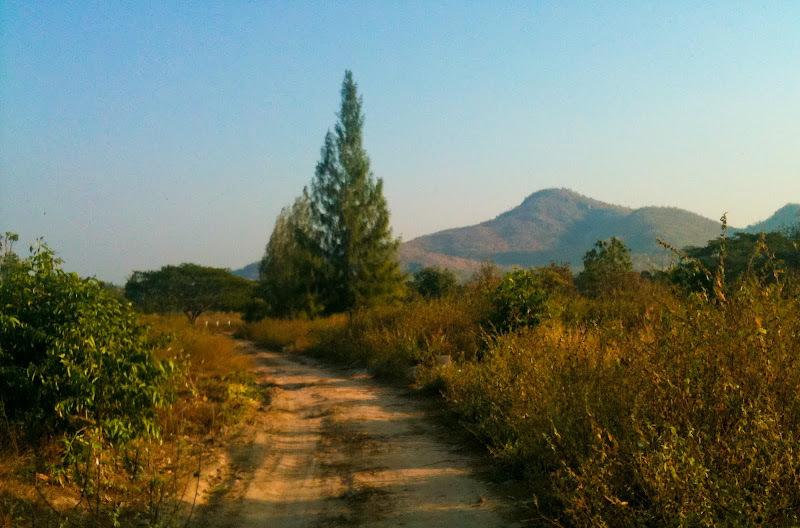 Laguna is located only 1km (3 minutes) from Hua Hin city by vespa, and still gives complete tranquility and quiet. Early morning light in master bedroom with attached bathroom. Blackout curtains on sliders for long sleepers. 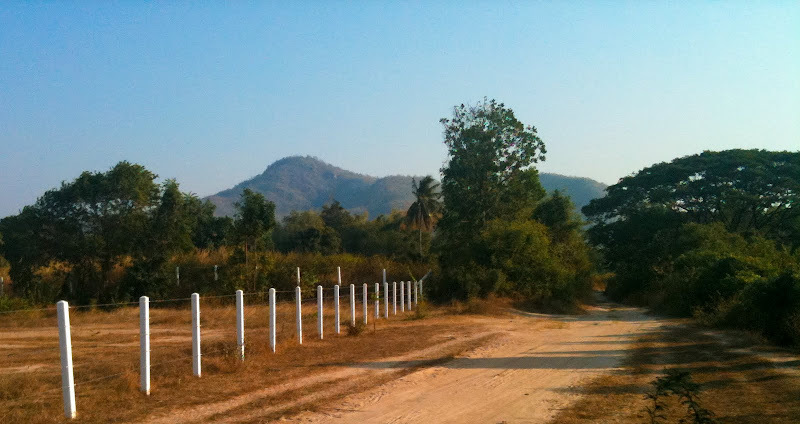 Hua Hin Laguna area picture. Mountain walks around the corner from the house. Hua Hin Laguna common swimming pool and gardens. 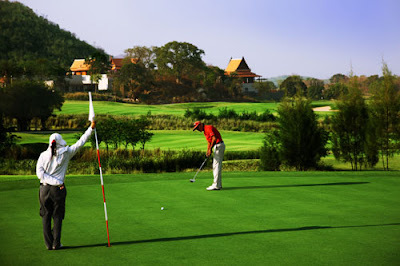 Banyan Golf Course in Hua Hin, winner of the 2009 Best New Golf Course in Asia [Asian Golf Monthly]. 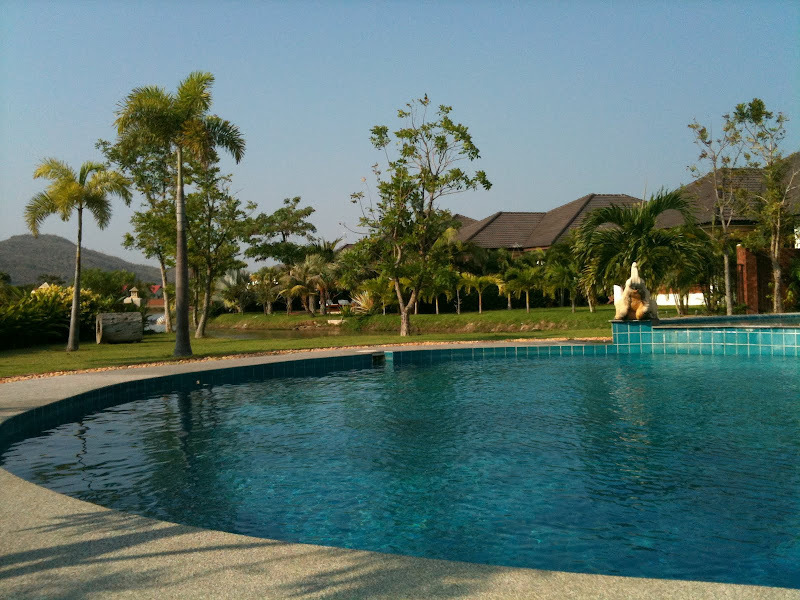 Opened in 2008 in Hua Hin, Thailand, a coastal city two hours drive from Bangkok and the home of the country's king. The course was built on a pineapple plantation. Black Mountain Golf Course in Hua Hin, "3rd Best Championship Golf Course in Asia Pacific Region"
Floor plan showing pool and terrace, outdoor shower, dining area, lounge, master bedroom, guest bedroom 1, guest bedroom 2 / study room (has bed), hallway, two bathrooms, porch with evening sun, car port and store room. Total 6 beds, or 8 using the two sunbeds.